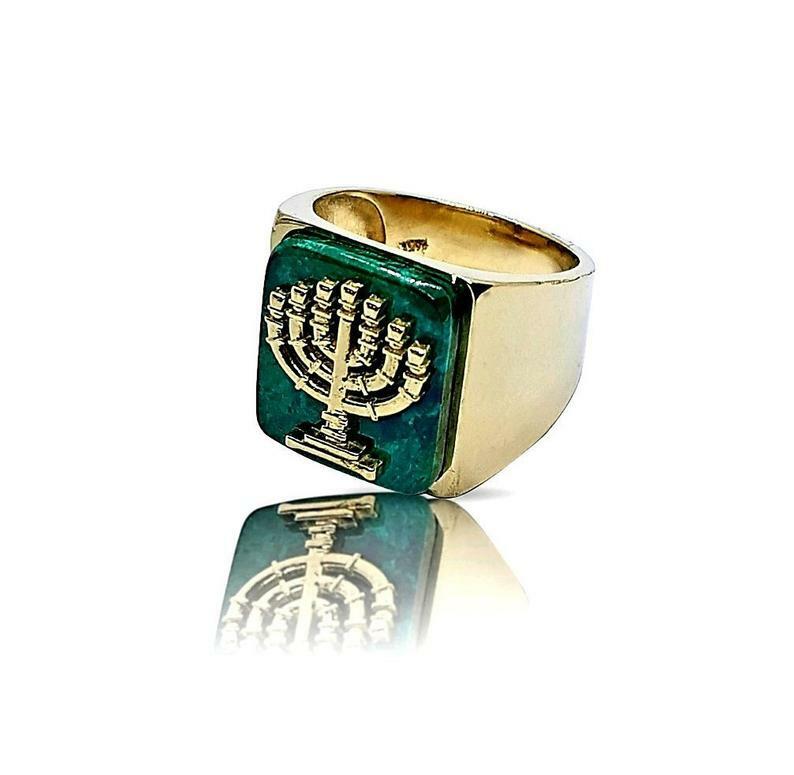 This stunning men's ring is made of 14k gold and set with an Eilat stone. 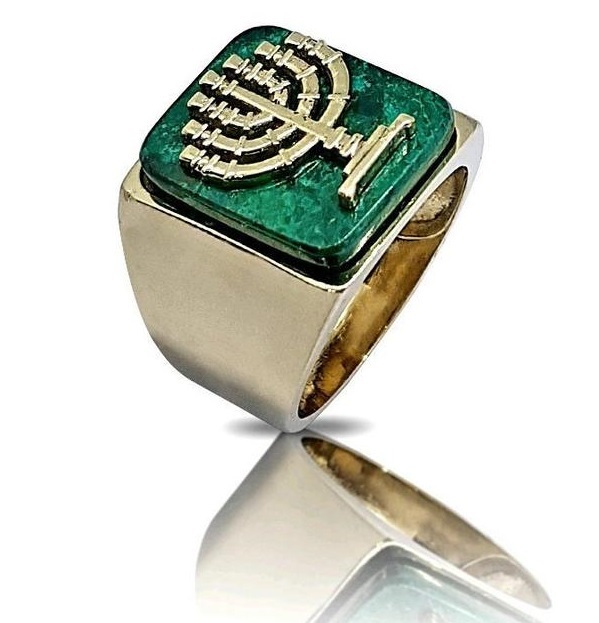 Also known as a King Solomon stone, this gorgeous gem is adorned with a golden menorah on the front. 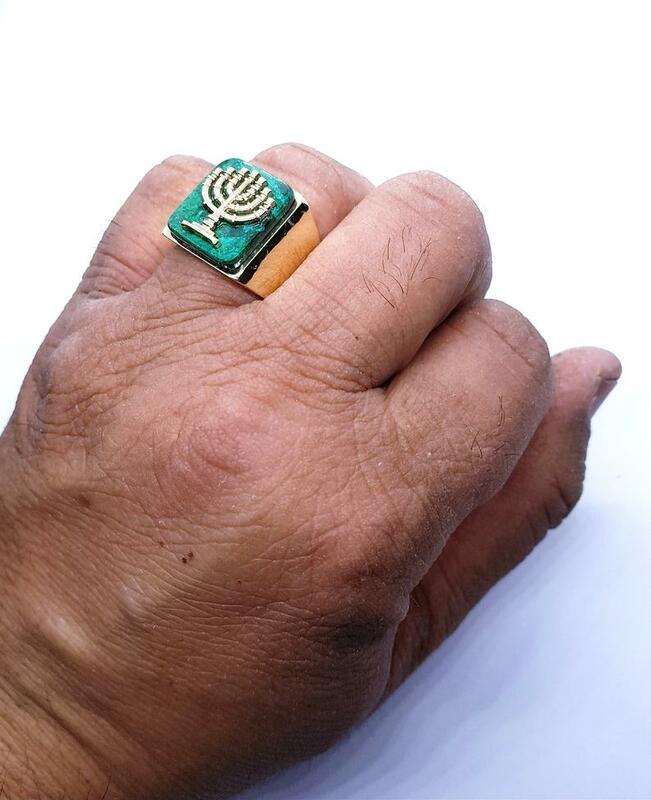 An elegant, tasteful men's ring, this gorgeous piece of Jewish jewelry is a 14k gold Menorah ring with an Eilat stone set into it. 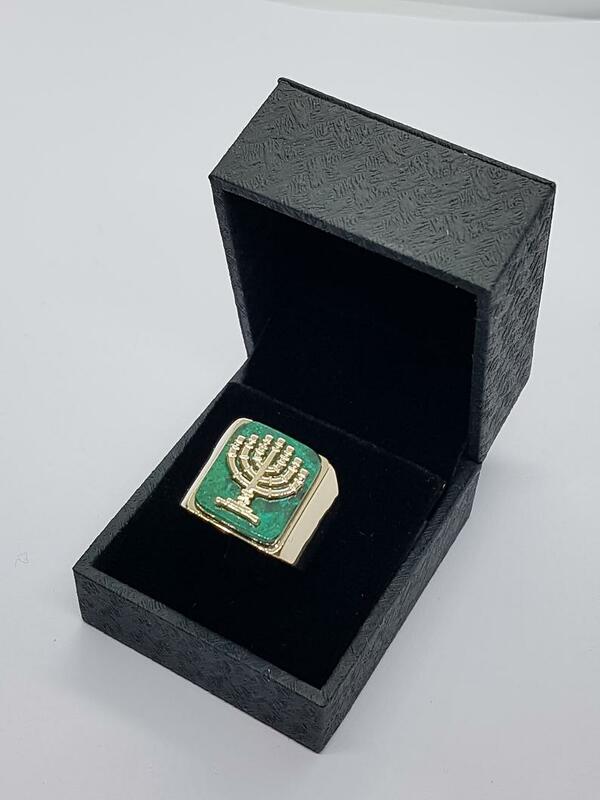 The menorah rests on the stone, which is also called a King Solomon stone. A meaningful and inspiring ring, it is undoubtedly stylish and timeless.